This month I am thankful for: People or actions that calm me down when I am stressed. Like Alex, yoga and meditation. Alex has this way of helping me calm down when my anxiety and stress levels start to peak. It's nice to have someone who understands when I am feeling that way and doesn't take my bouts of anxiety induced grumpiness as a personal attack. Mexican hot chocolate - mmm chocolate and cayenne! 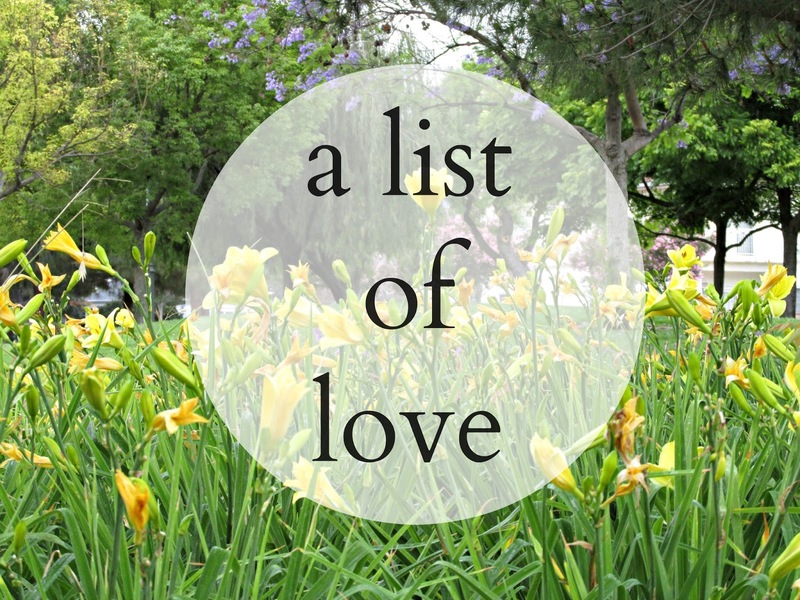 Now I encourage you to create your own list of love. You can write it in the comments below or make your own post. If you do make a post, be sure to leave the link to it in the comments section. I can't wait to see your lists! Also, you are more than welcome to use the image above on your blog post - just make sure to credit me.